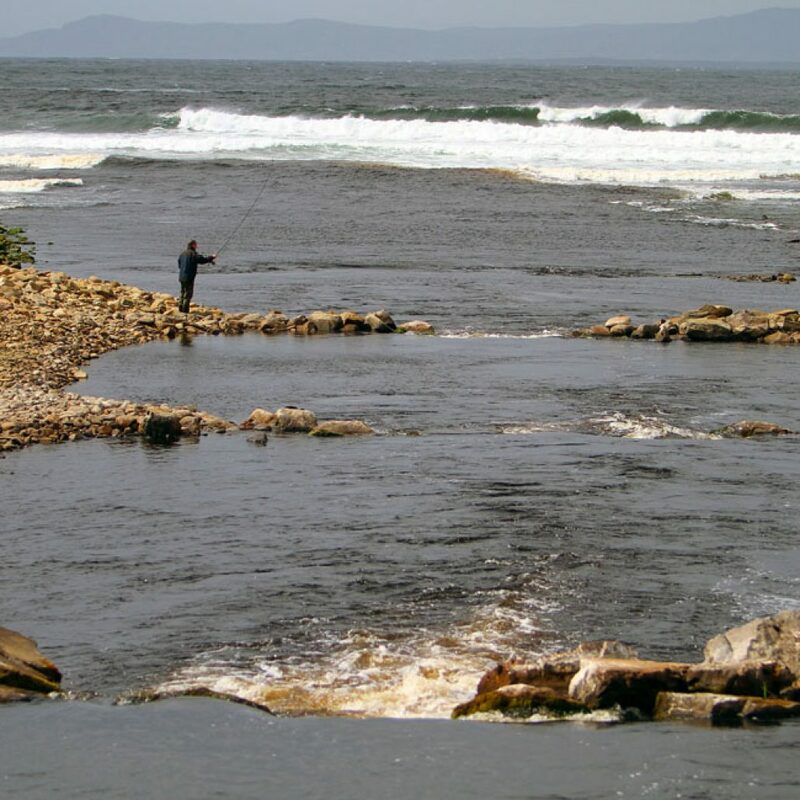 Salmon fishing on the Drowes Salmon Fishery on the Wild Atlantic Way in the northwest of Ireland. 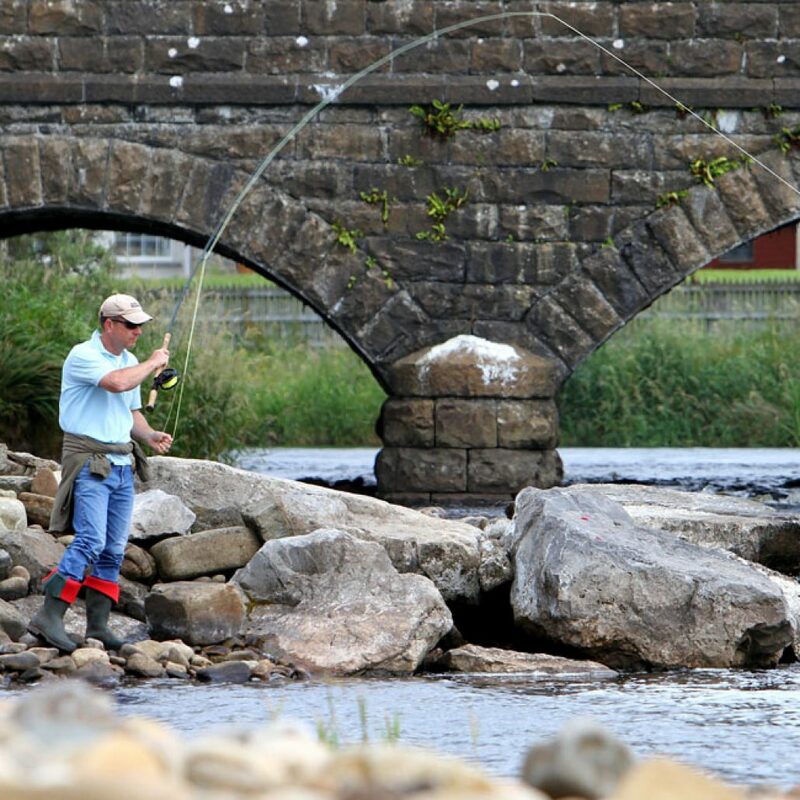 Including fly fishing for spring salmon, grilse, gillaroo trout on the river Drowes and Lough Melvin. 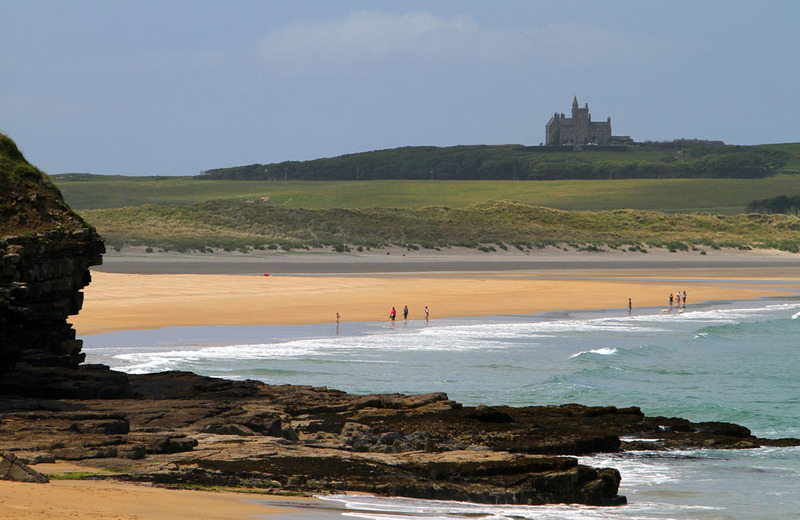 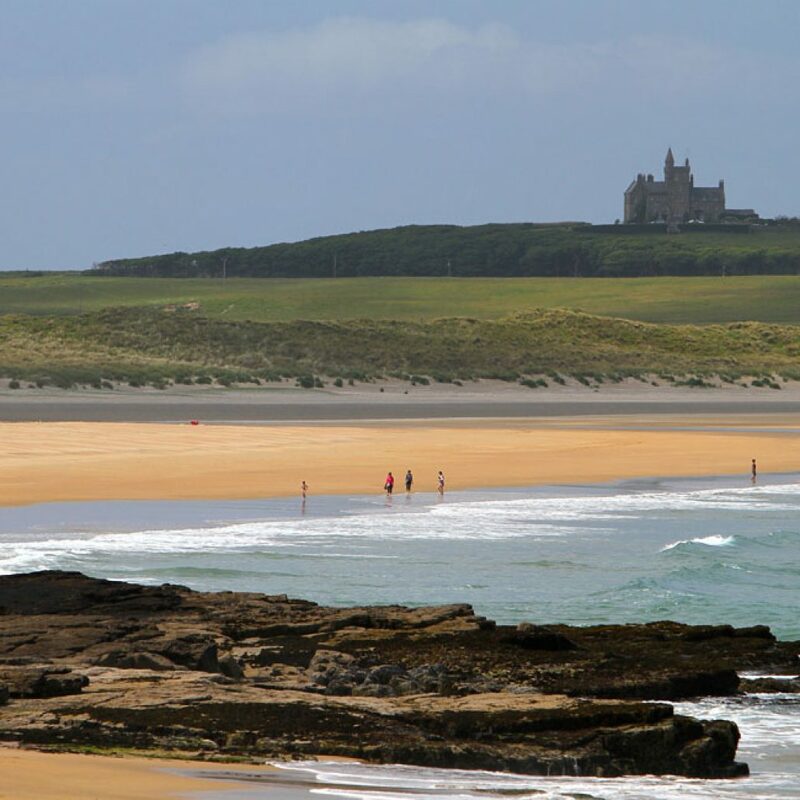 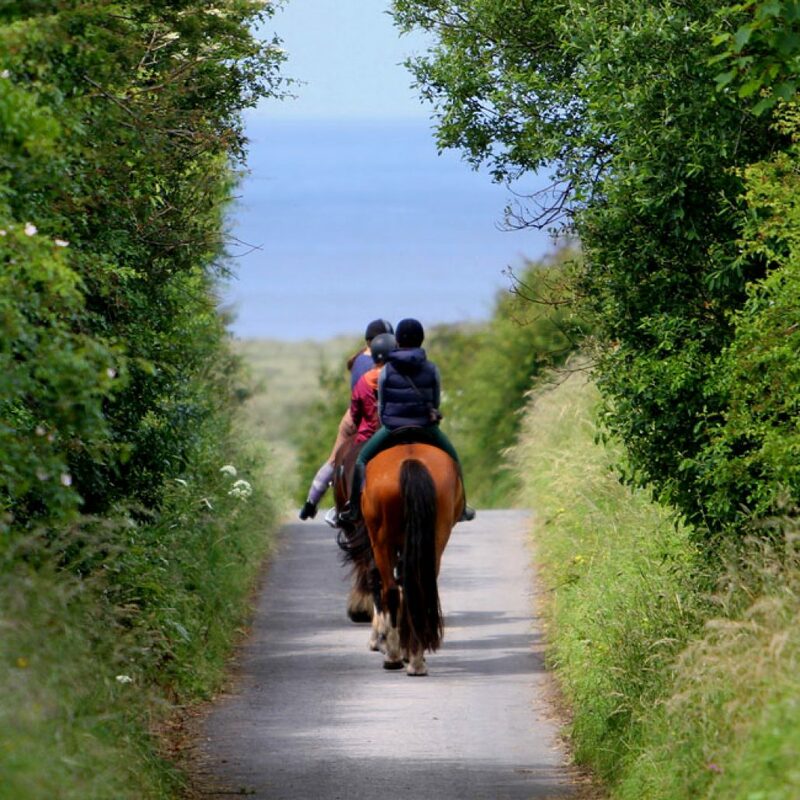 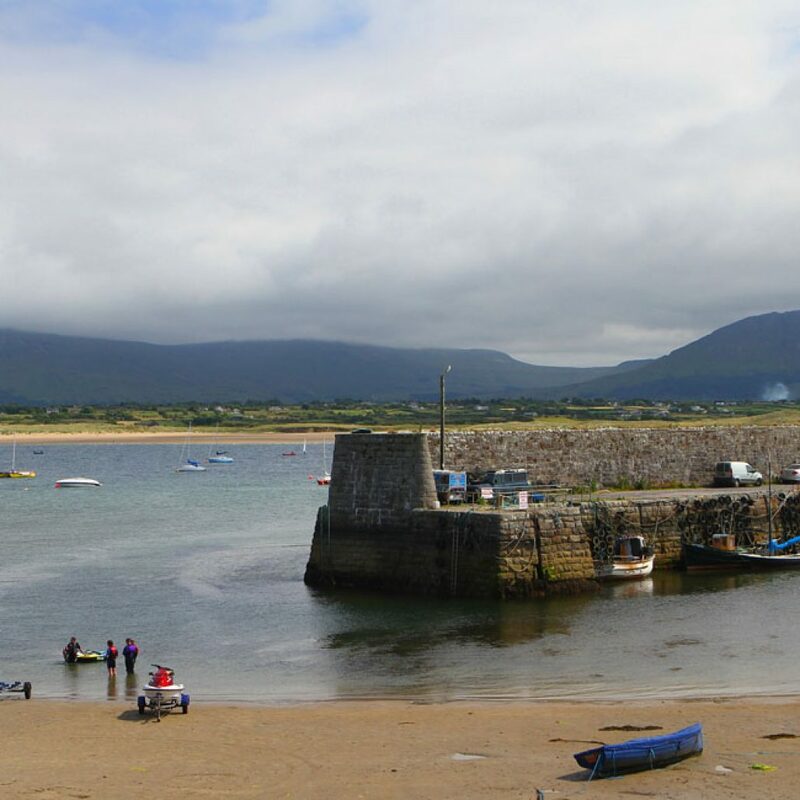 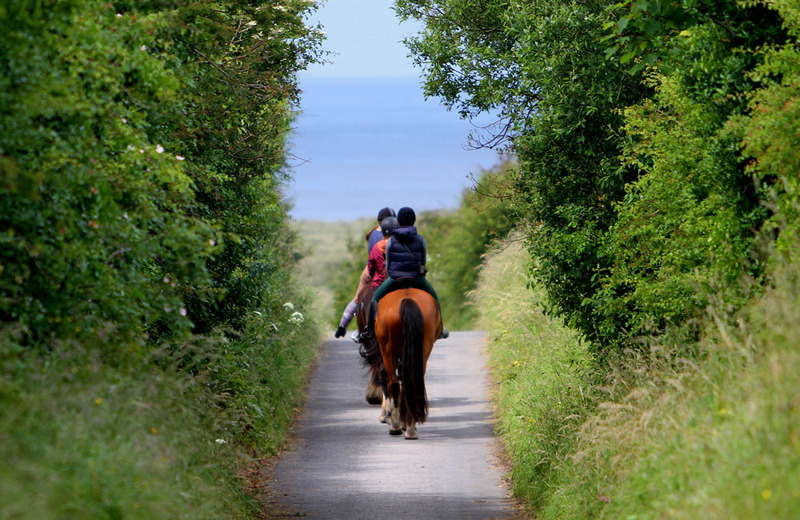 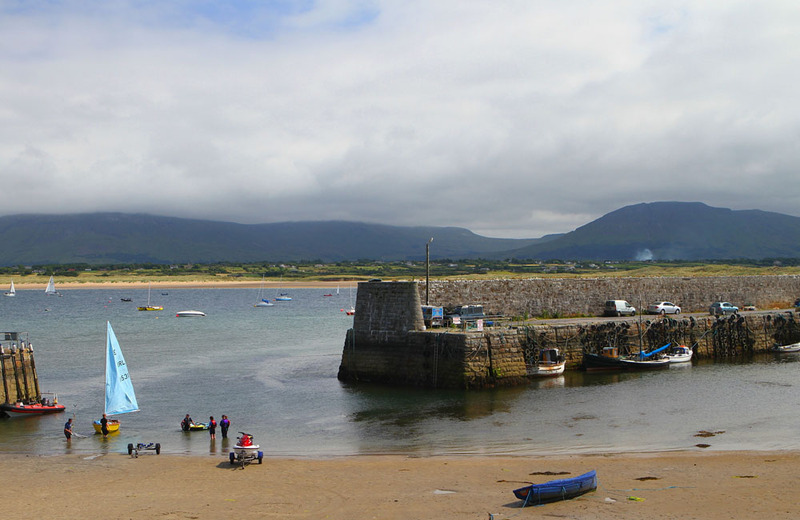 Other activities such as horse riding in Mullaghmore and surfing in Bundoran. 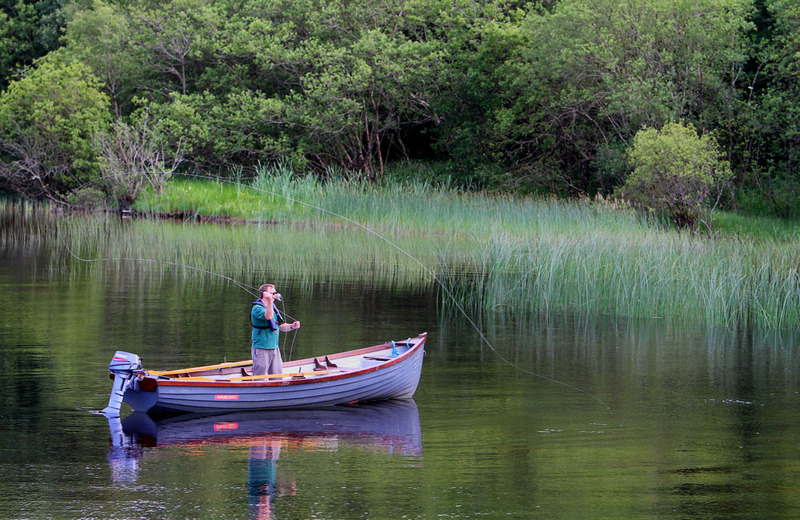 The great video captures the Drowes Salmon Season in full swing. 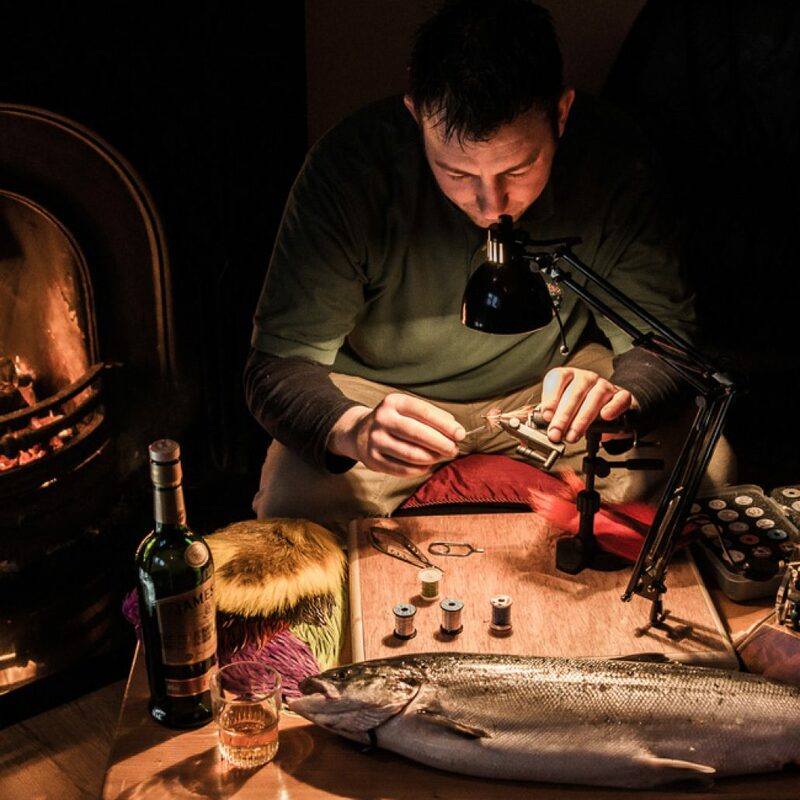 to offer any keen angler. 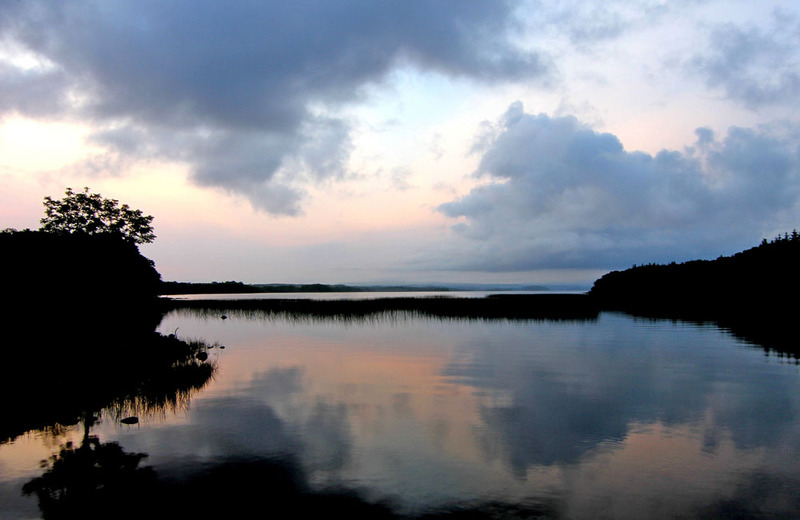 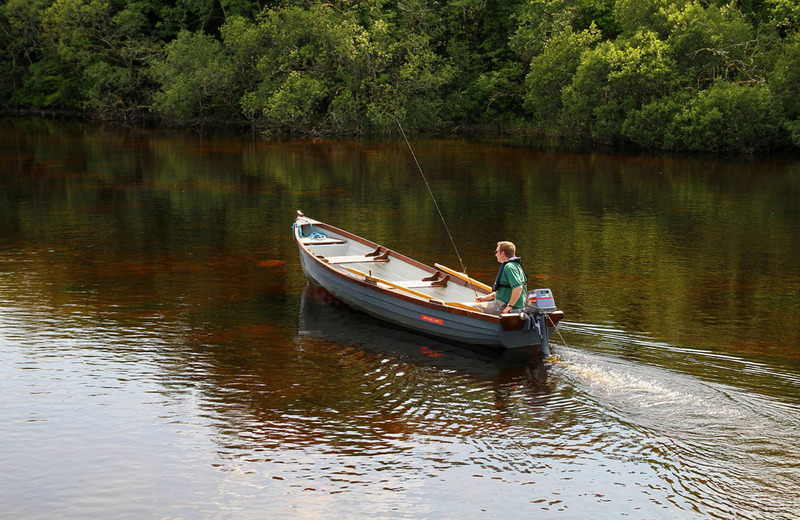 This wonderful video captures a day in the life of the Drowes River. 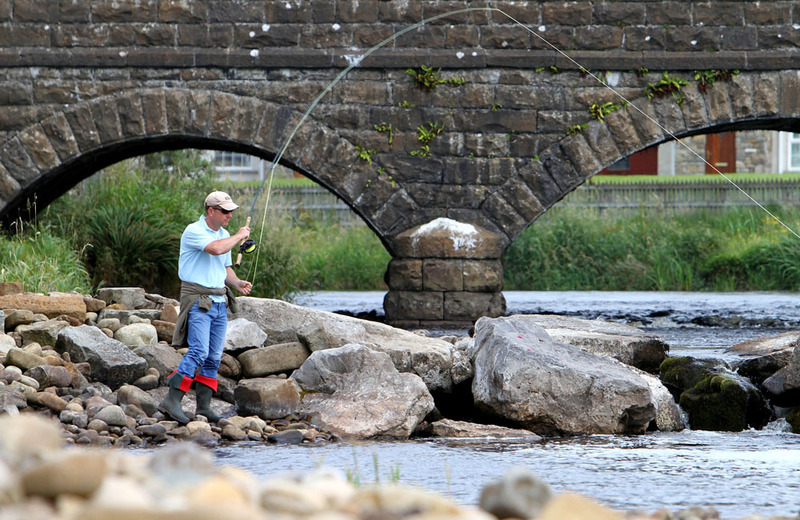 Shot at the infamous Eel Weir, where many a monster has been netted. 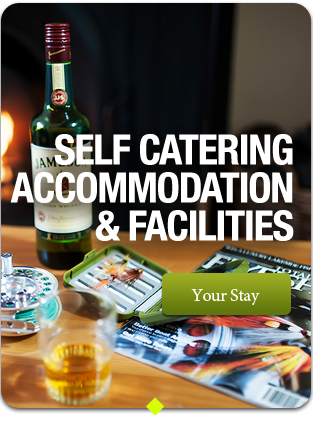 most memorable features of your stay. 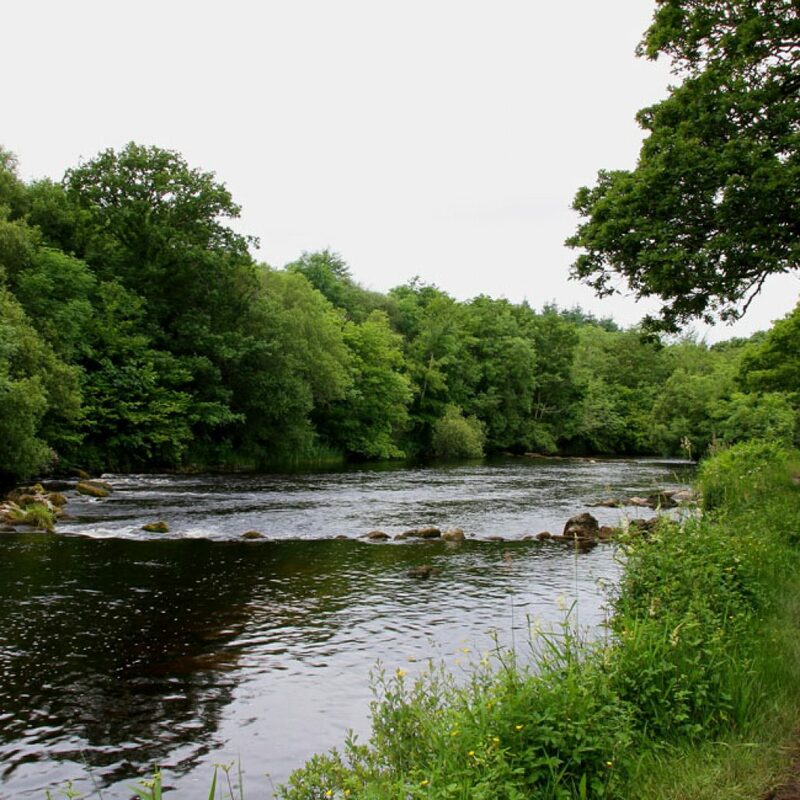 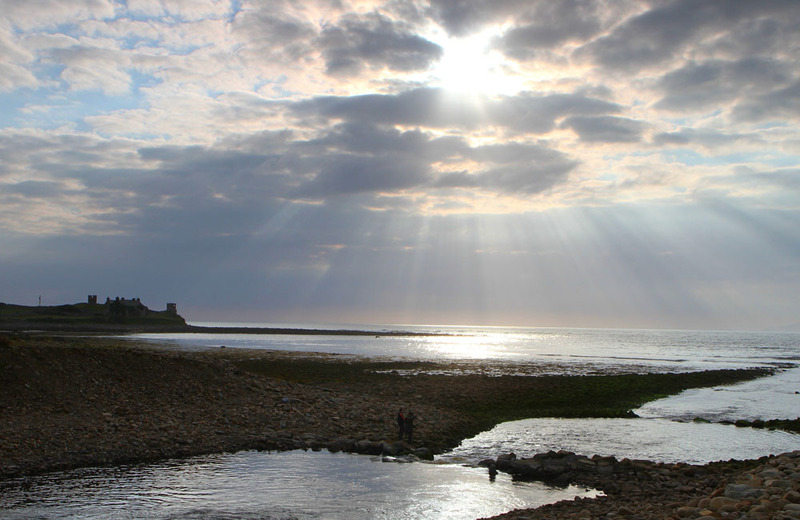 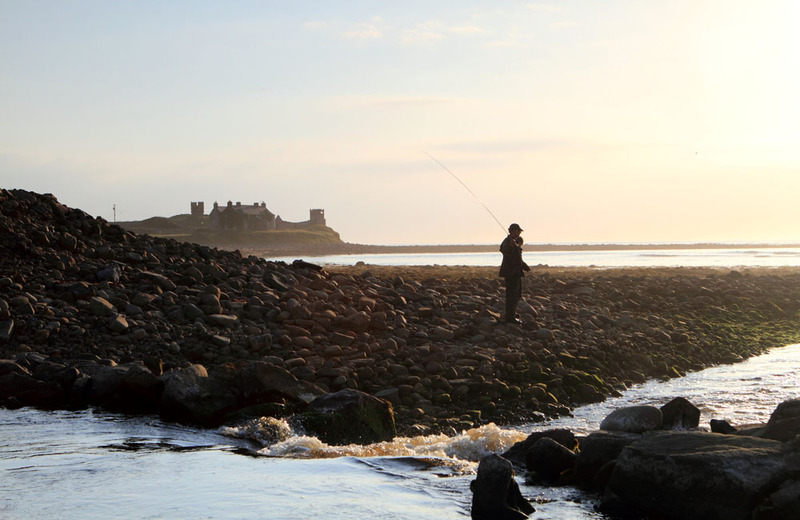 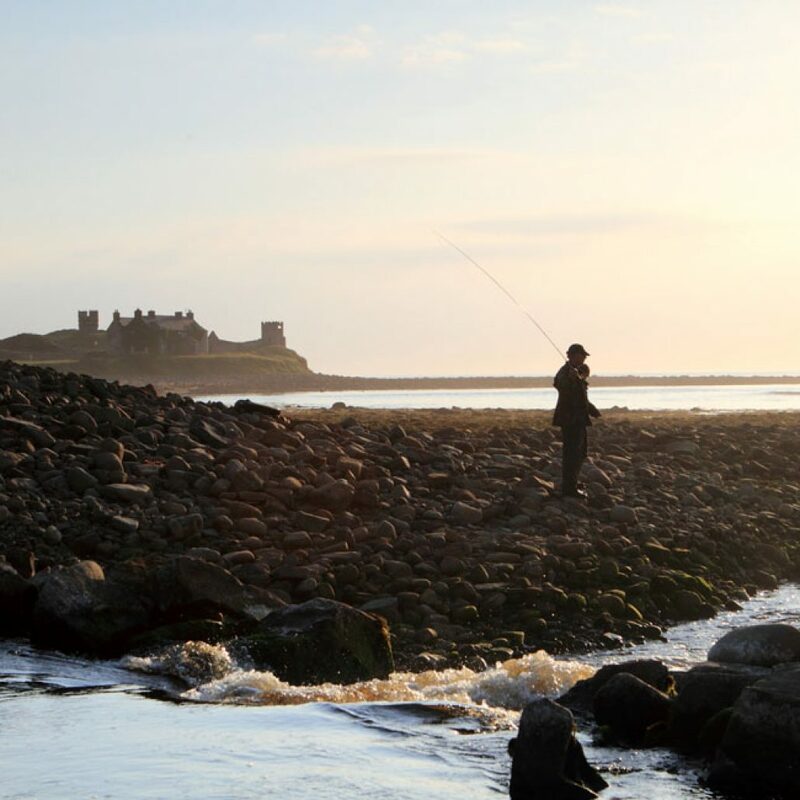 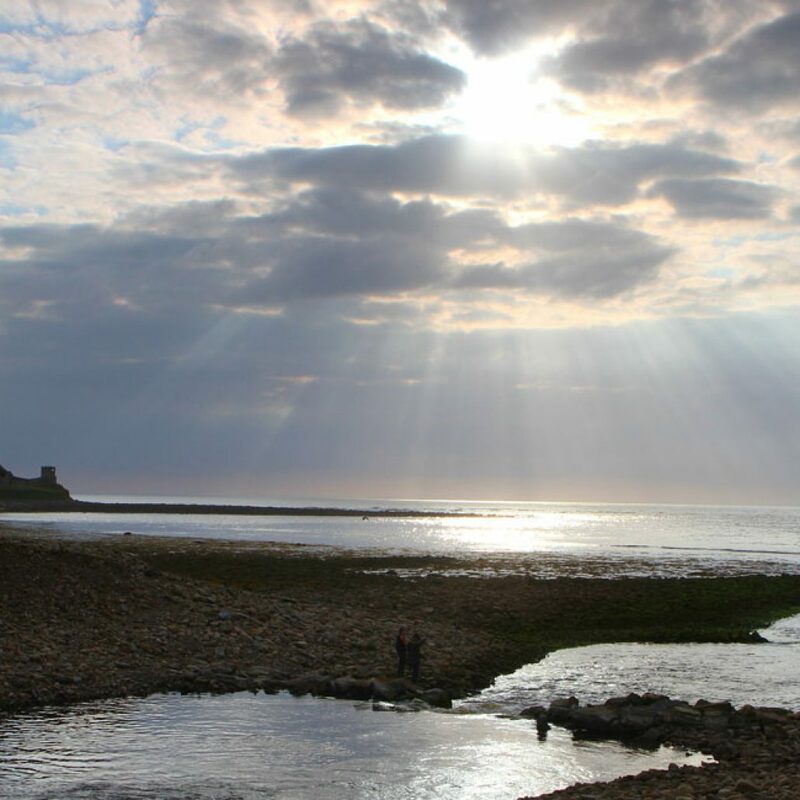 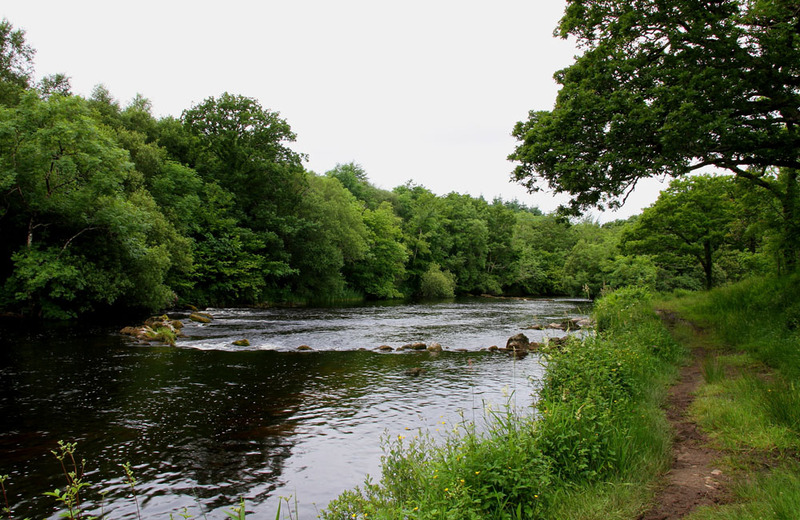 Check out some of these great pictures of the Drowes Salmon Fishery, along with pictures of the local area and the many visitor attractions. 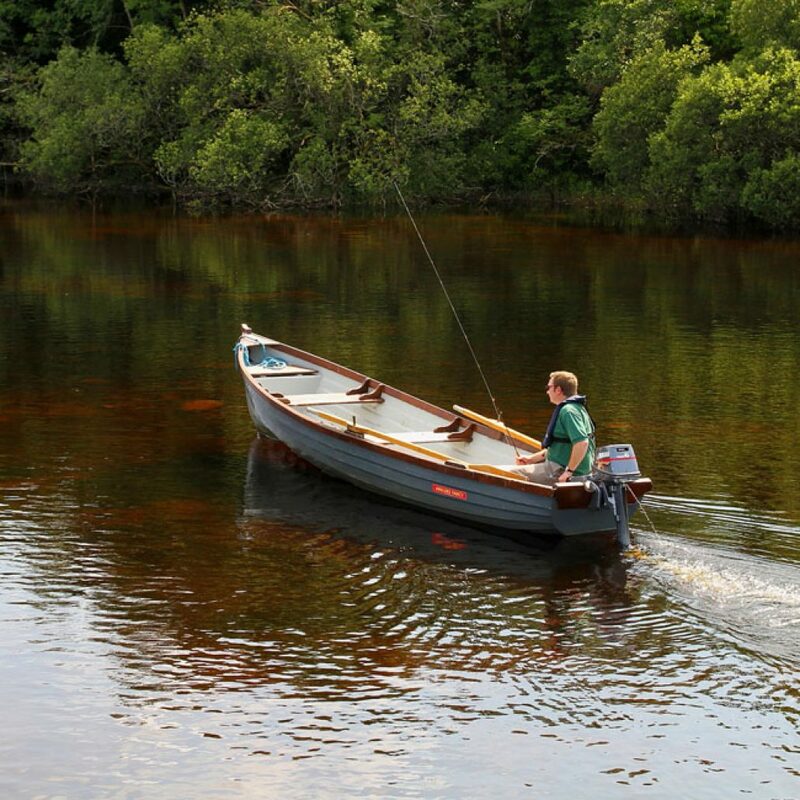 The Drowes has a wide variety of water suitable for all fishing methods, including several miles of good fly water and deeper slower moving pools suitable for spinning and bait fishing. 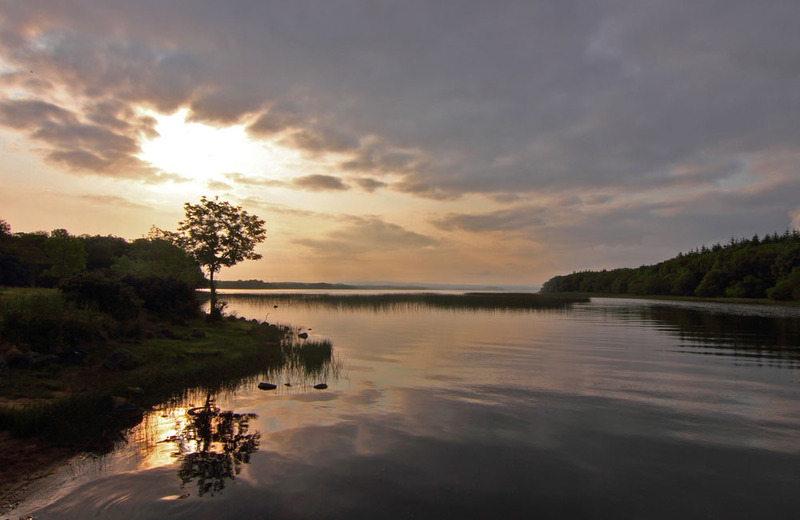 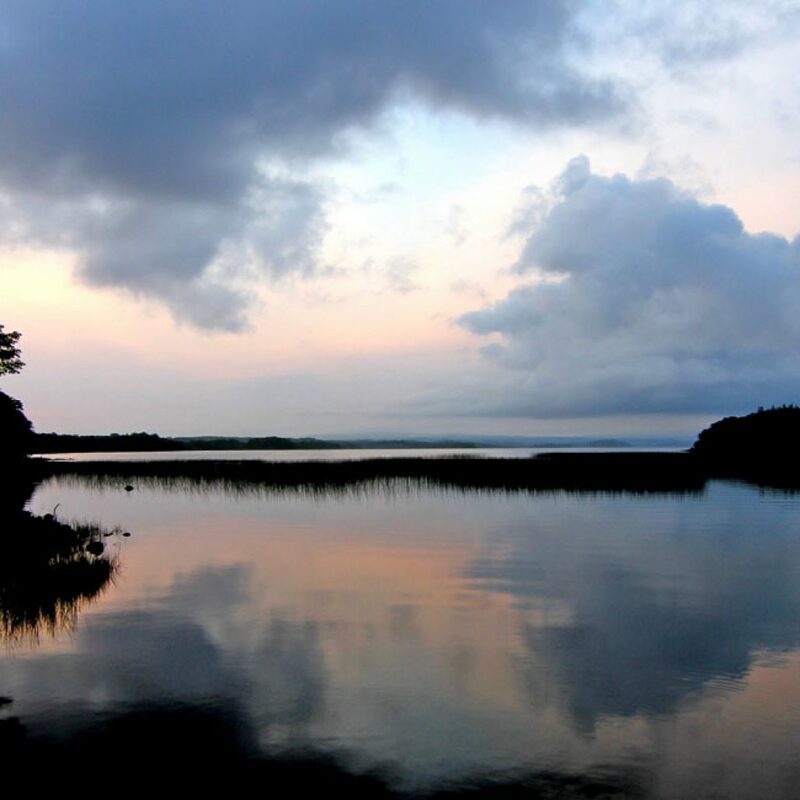 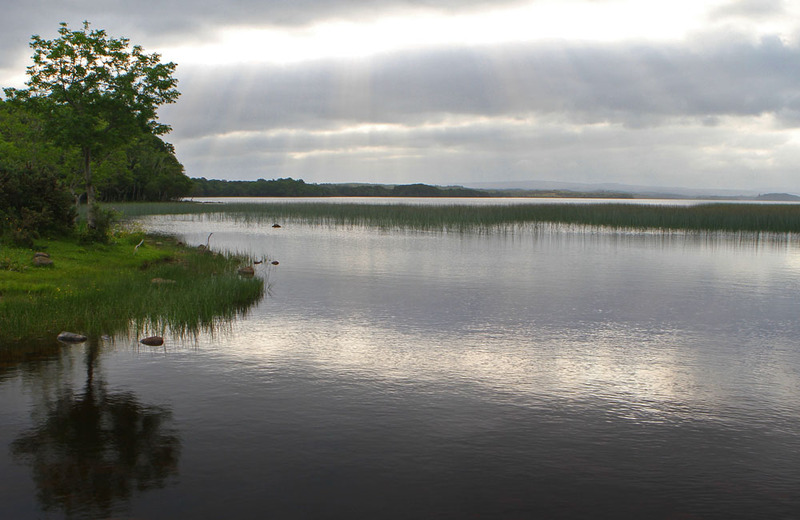 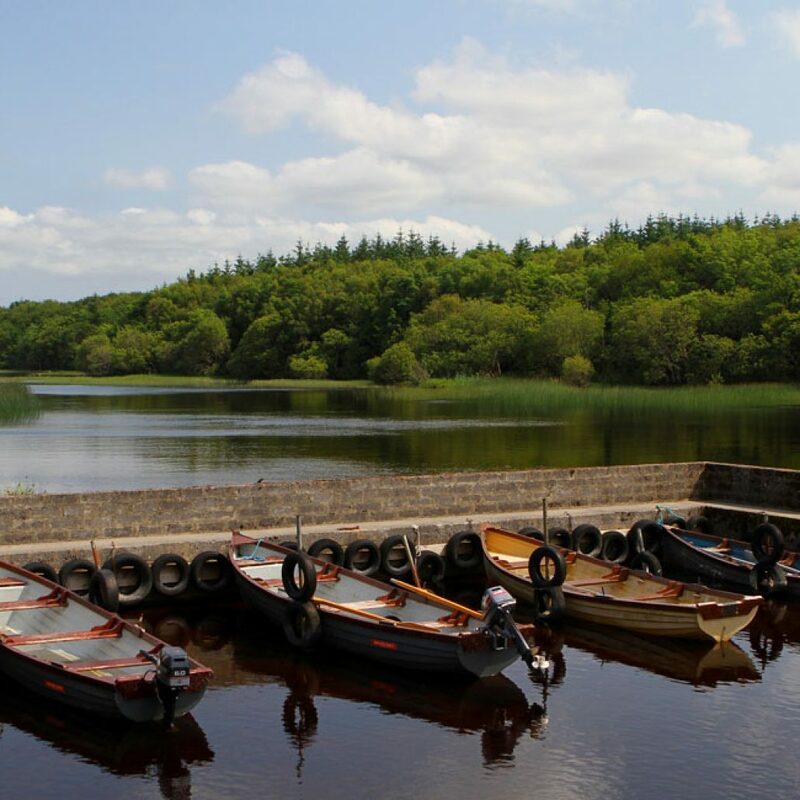 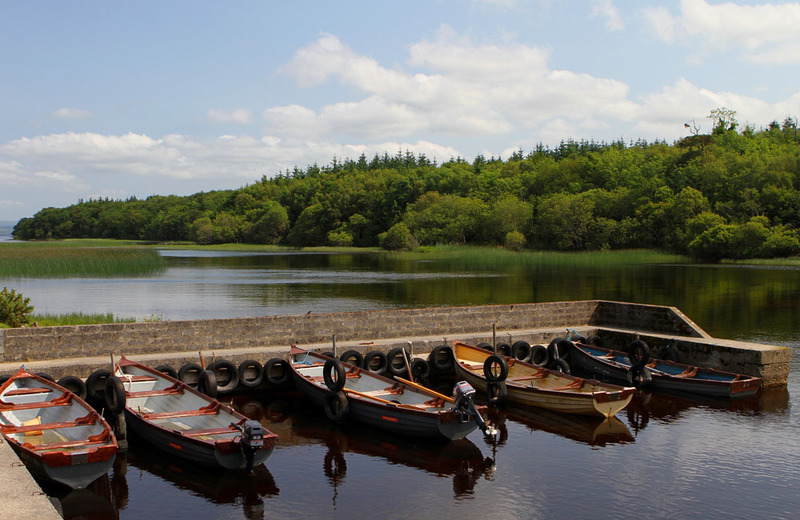 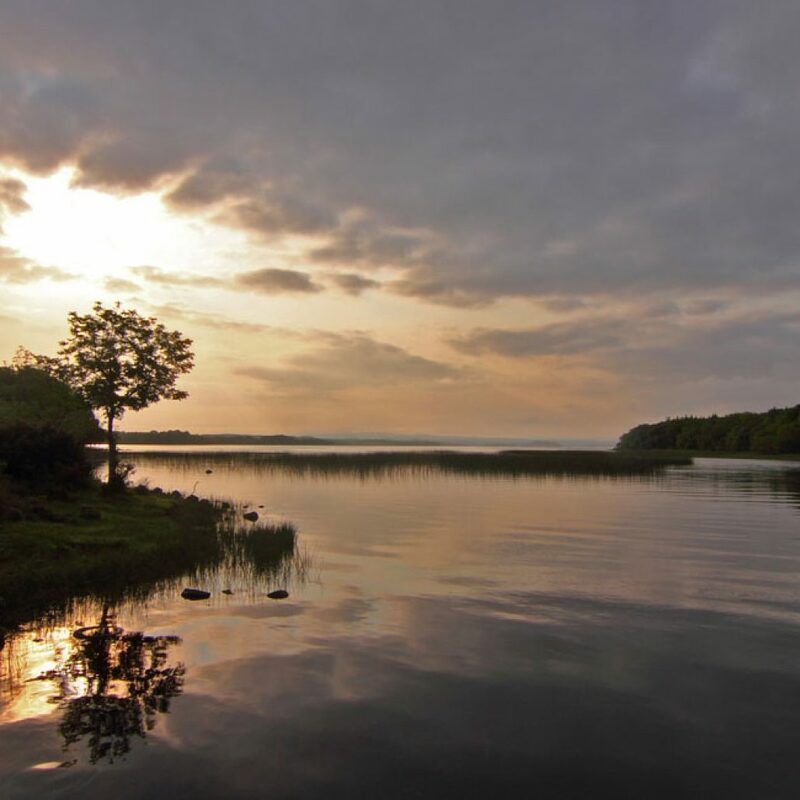 The fishery is based at Lareen Estate, where the river flows from Lough Melvin. 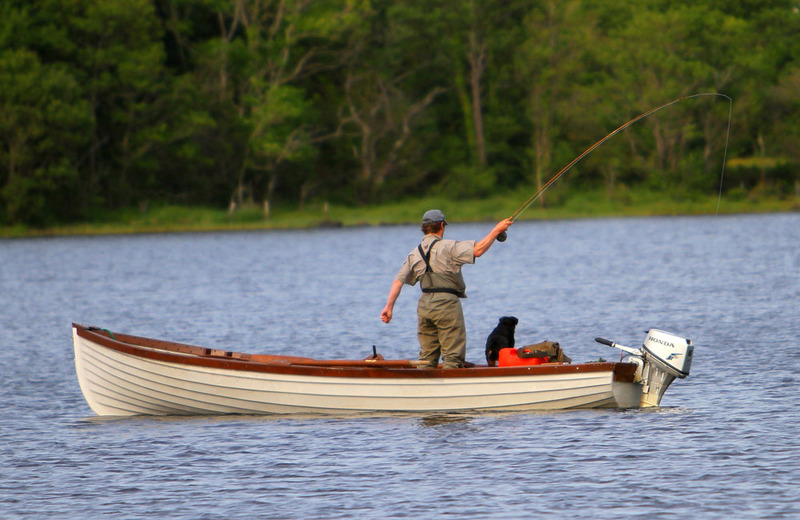 There is a fishery office and tackle shop on the estate from where fishing permits and licences are available and boats and engines may be hired. 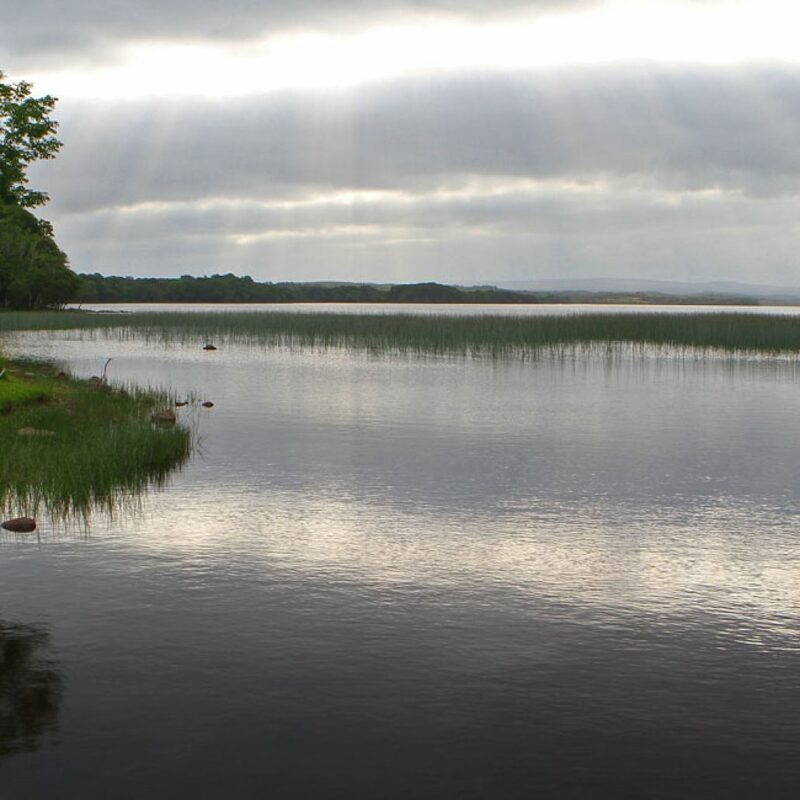 Also on the Estate are 11 holiday cottages, close to the water’s edge, available for rent throughout the year. 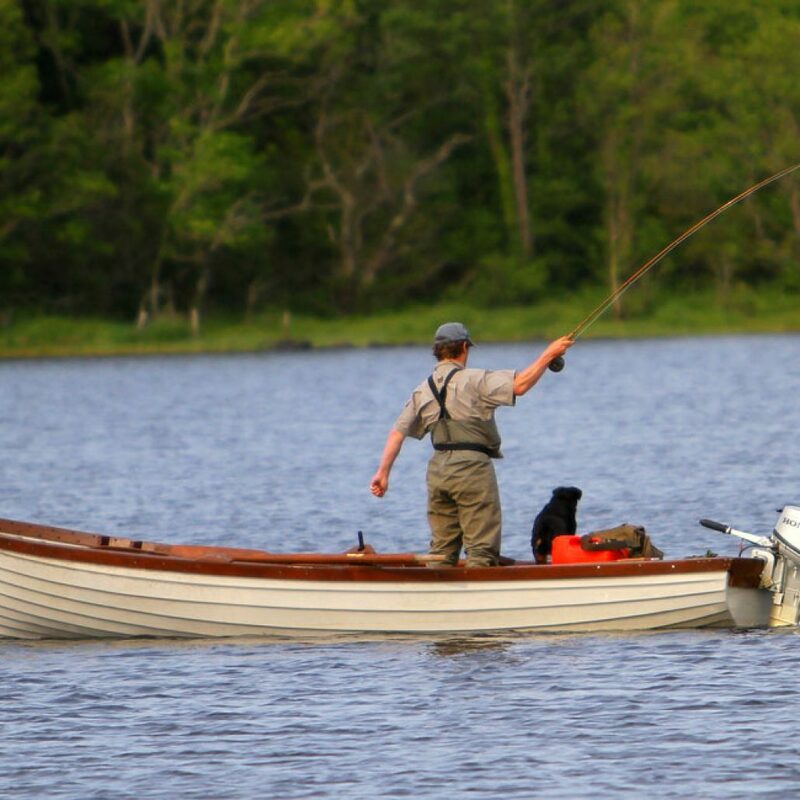 The cottages may be rented on their own or as part of a fishing package which includes fishing and boat hire. 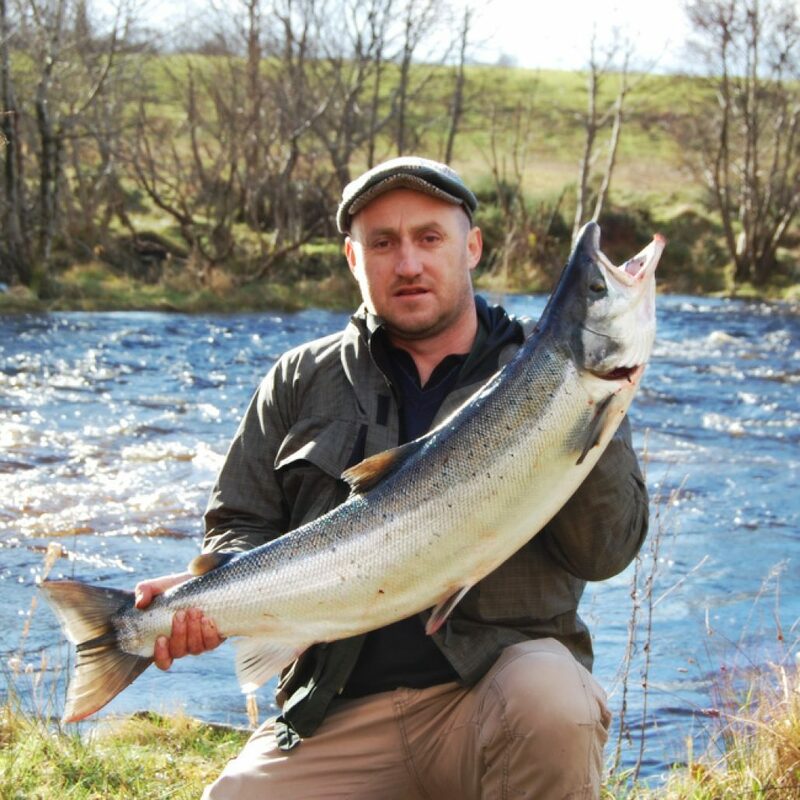 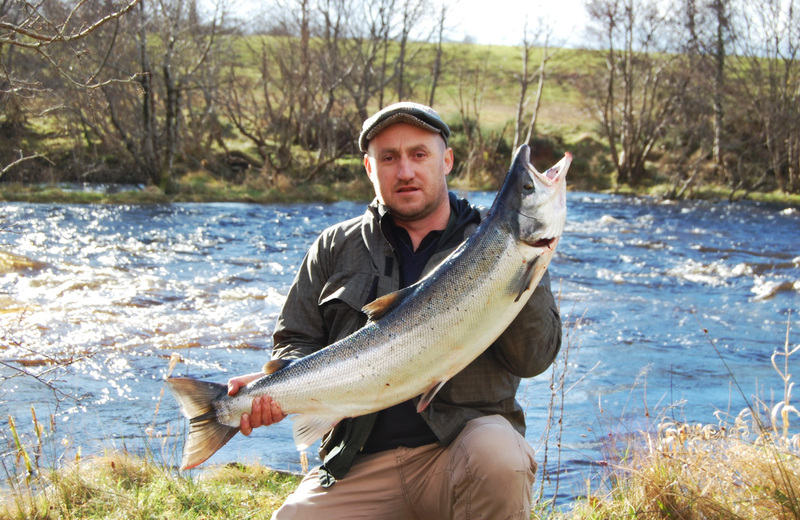 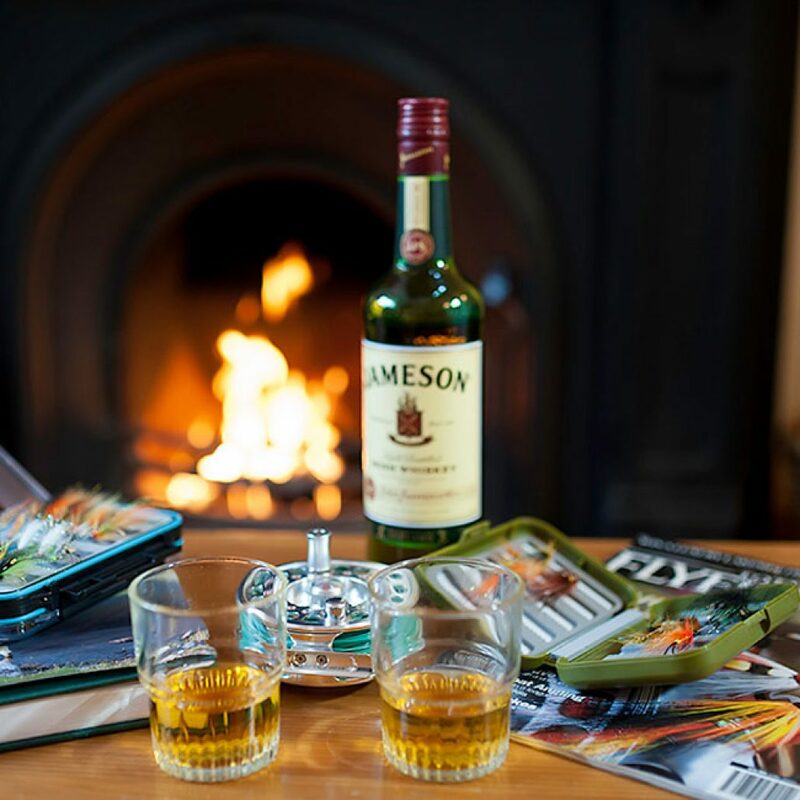 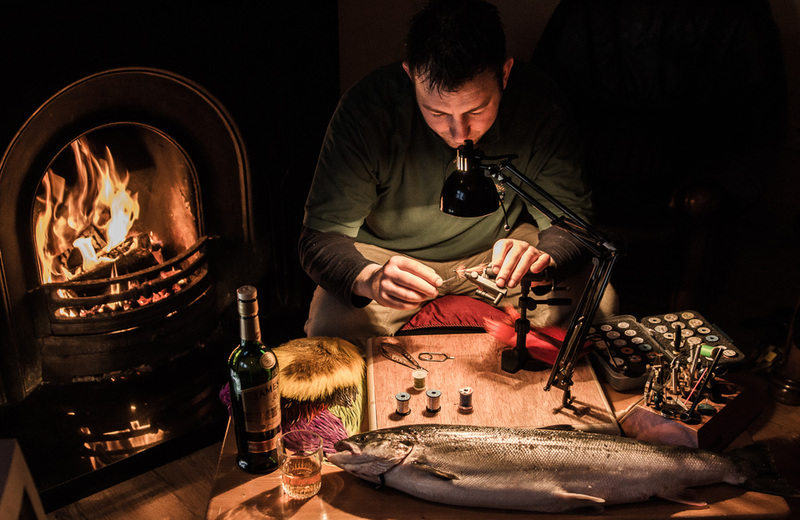 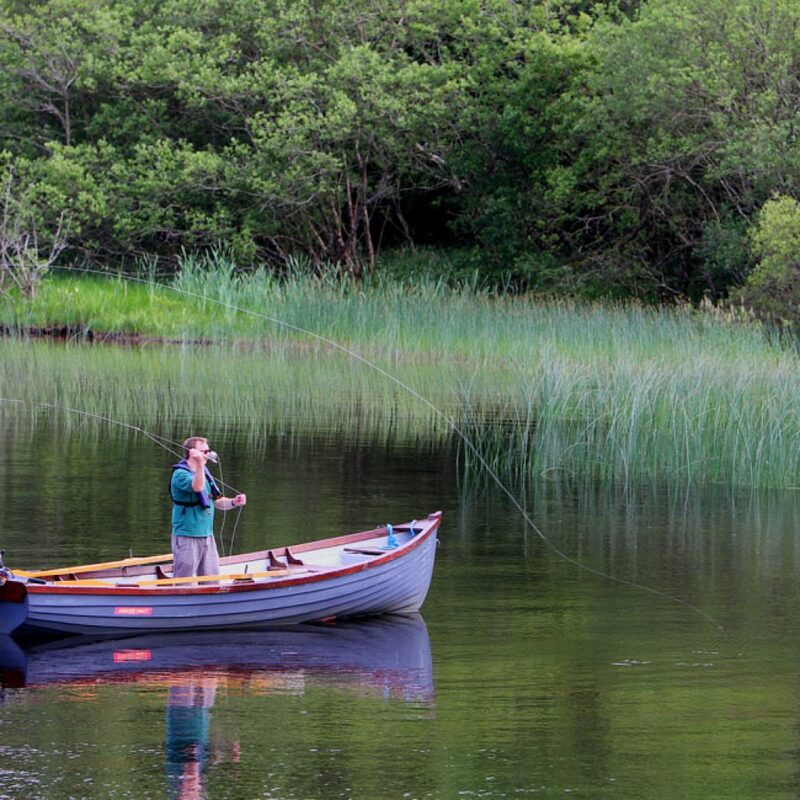 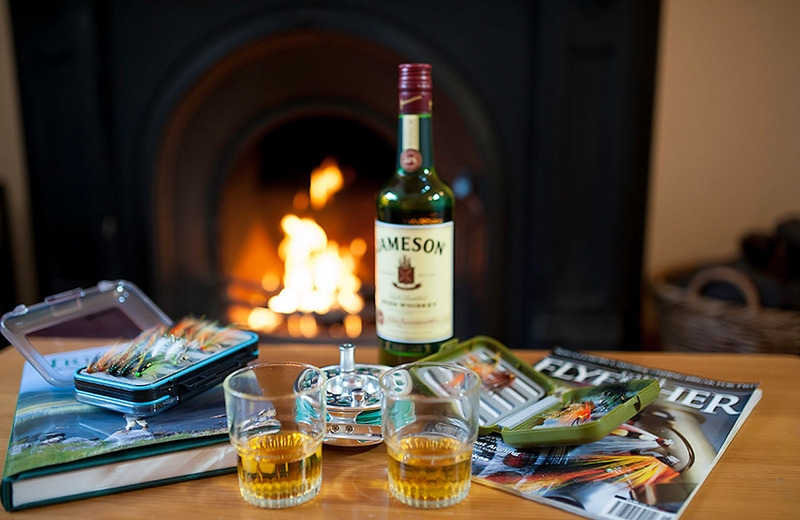 The Drowes Fishery is one of Ireland’s premier spring salmon and grilse fisheries. 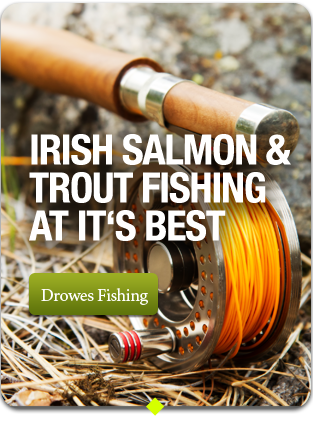 The Drowes is among the earliest opening salmon fisheries in the country and regularly claims the honor of producing Ireland’s first salmon of the season on opening day, January 1st. 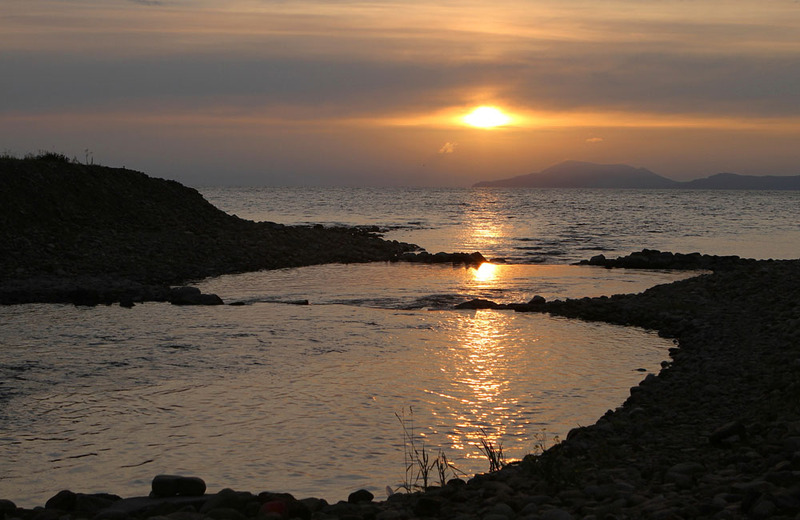 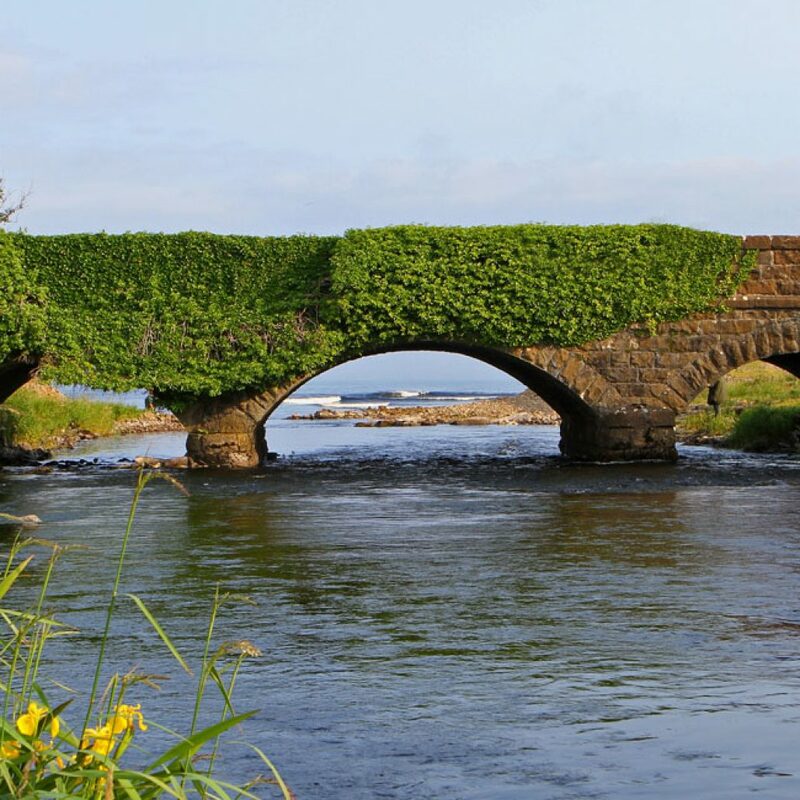 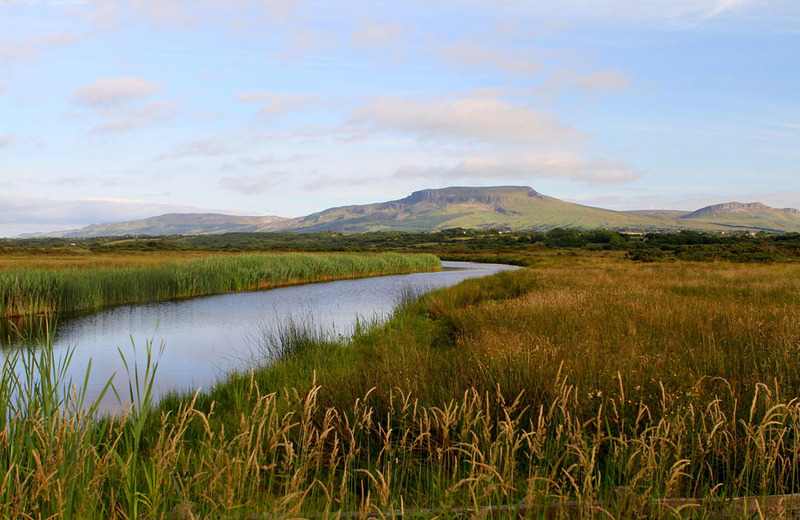 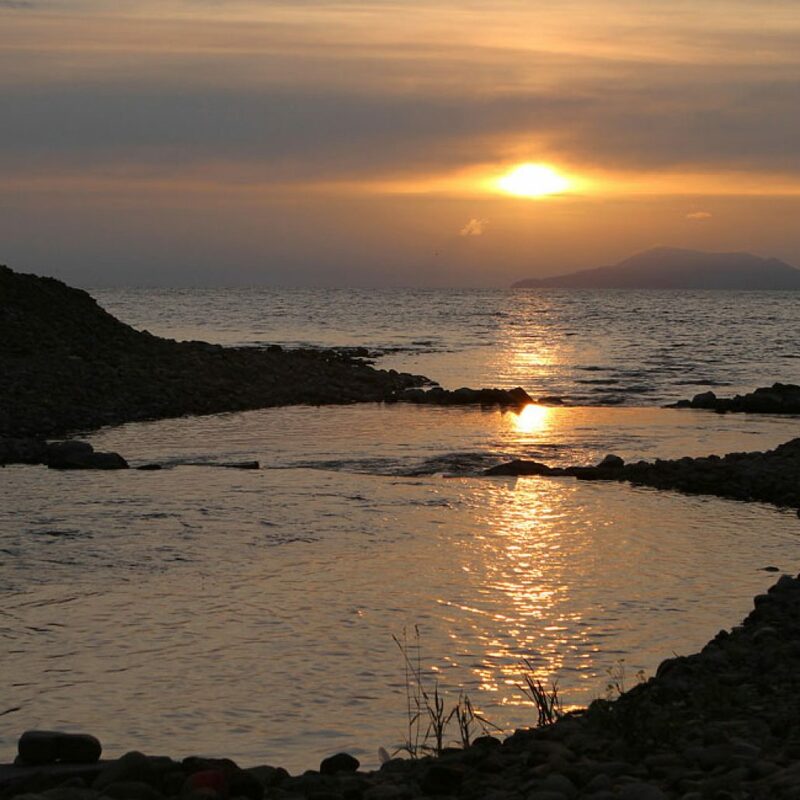 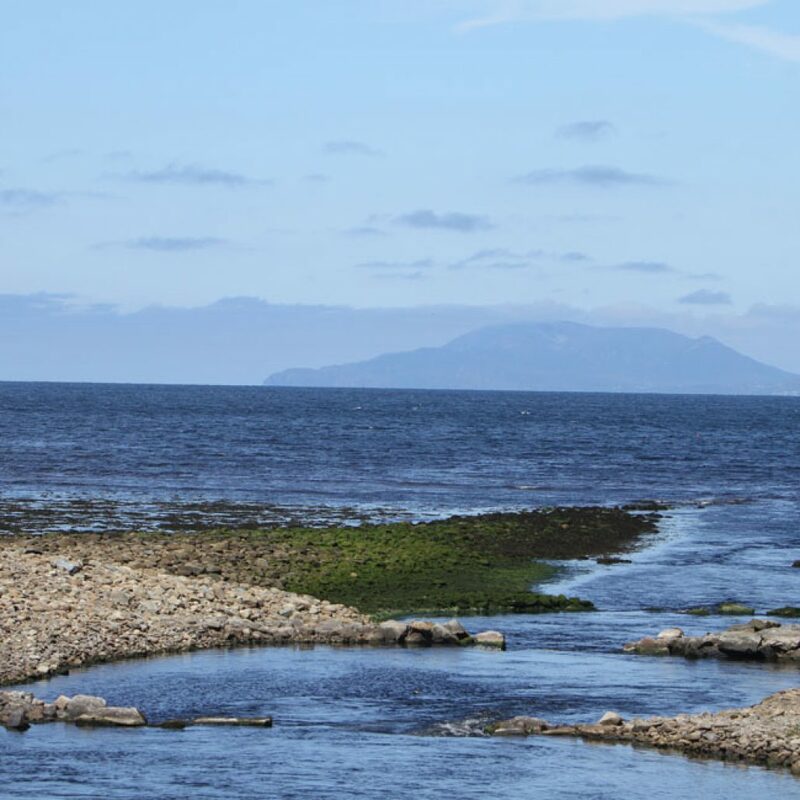 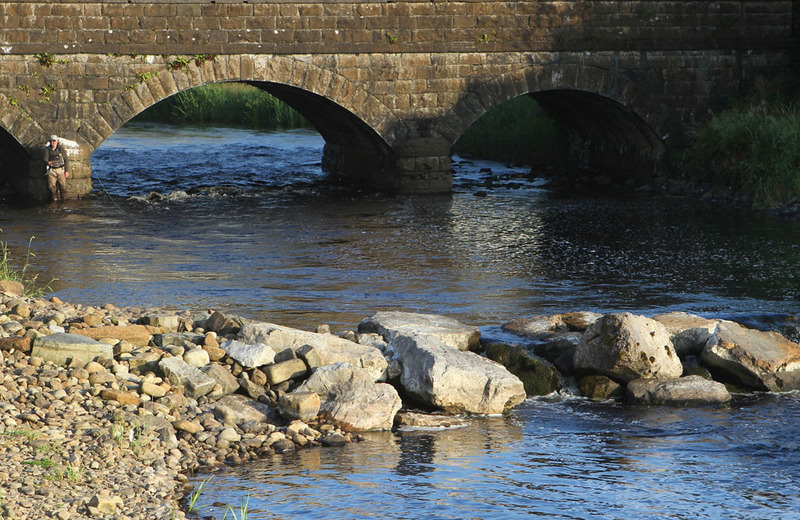 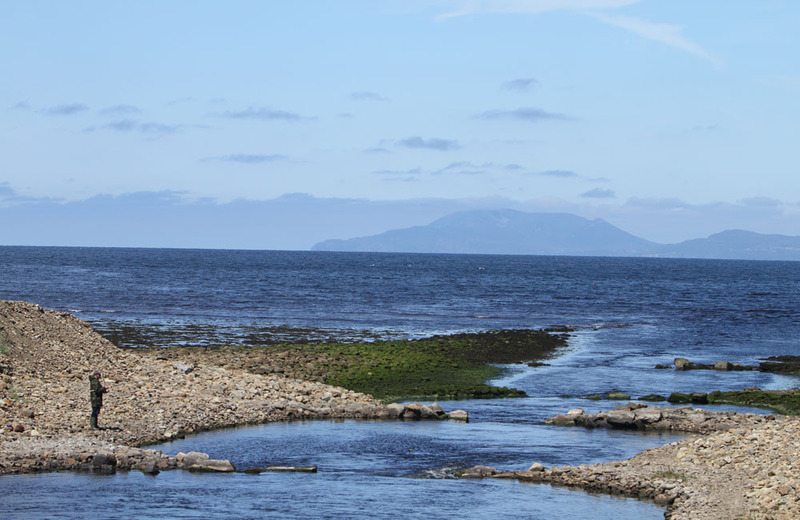 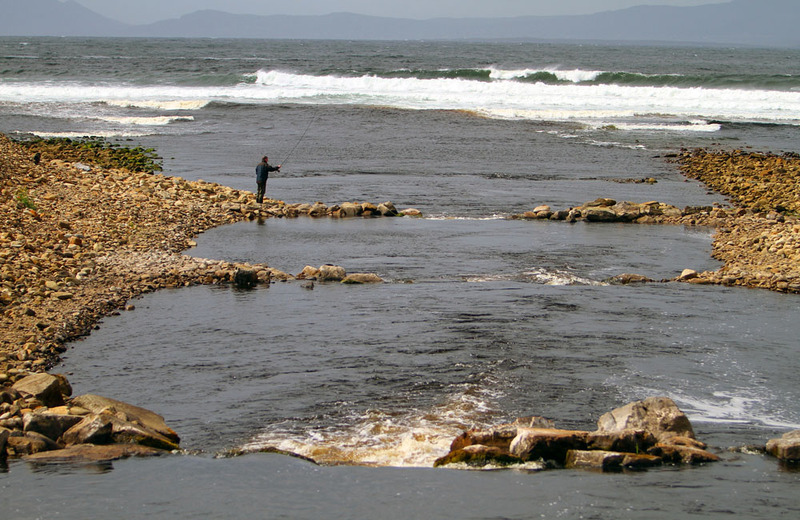 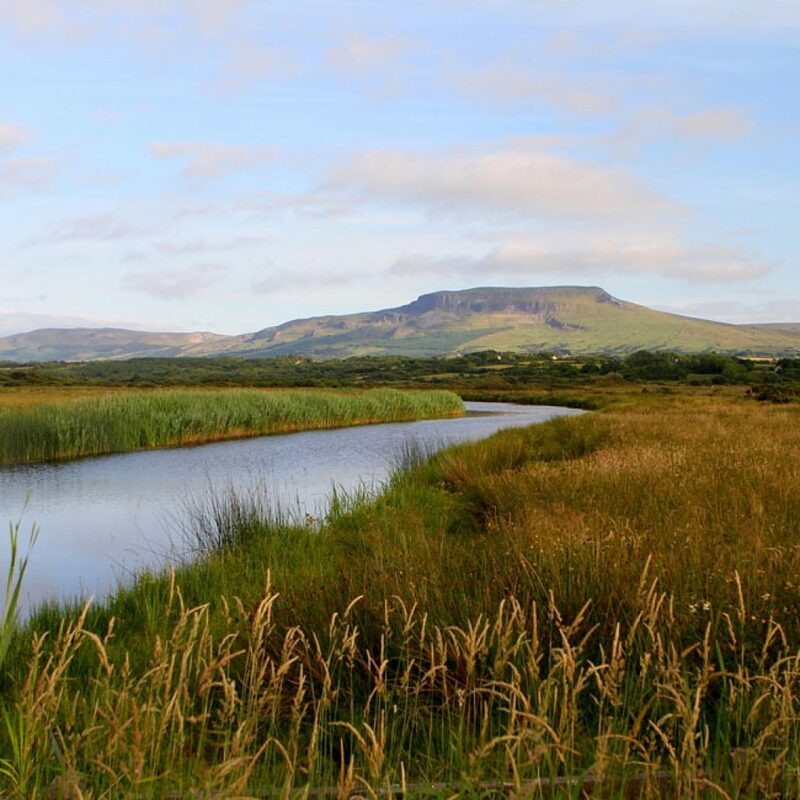 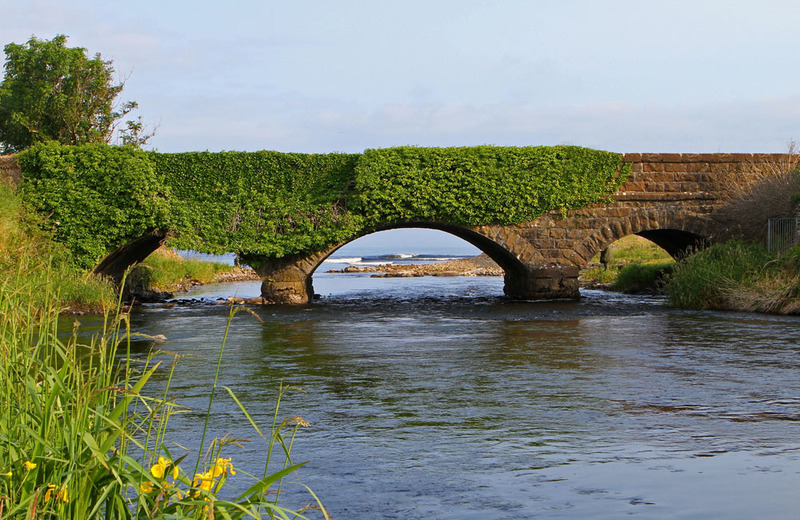 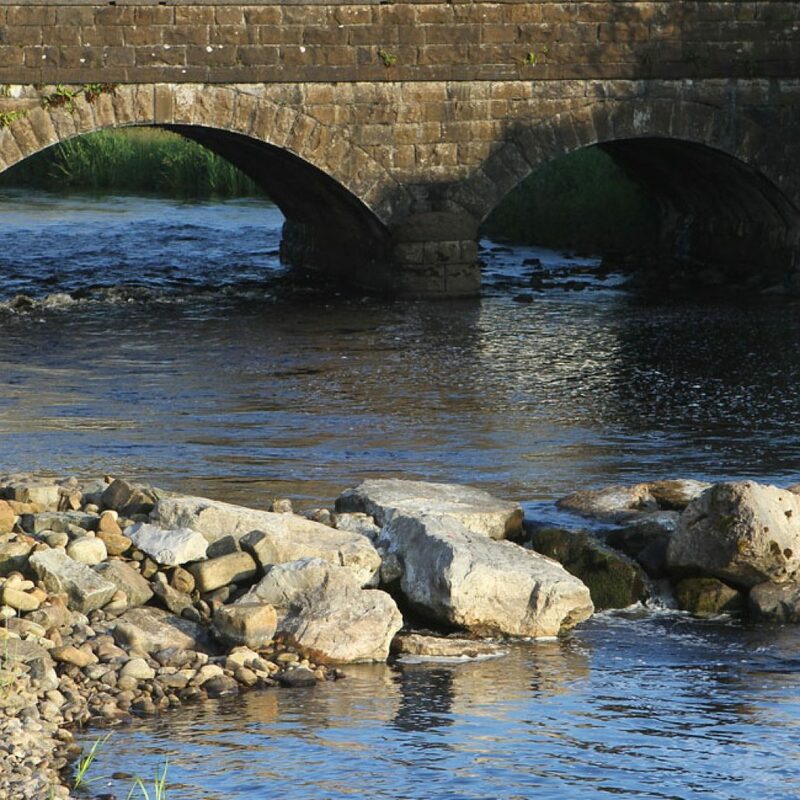 The river is some 5 miles in length, with over 70 named pools, flowing from Lough Melvin at Lareen Bay and entering the sea at Tullaghan, just outside Bundoran.